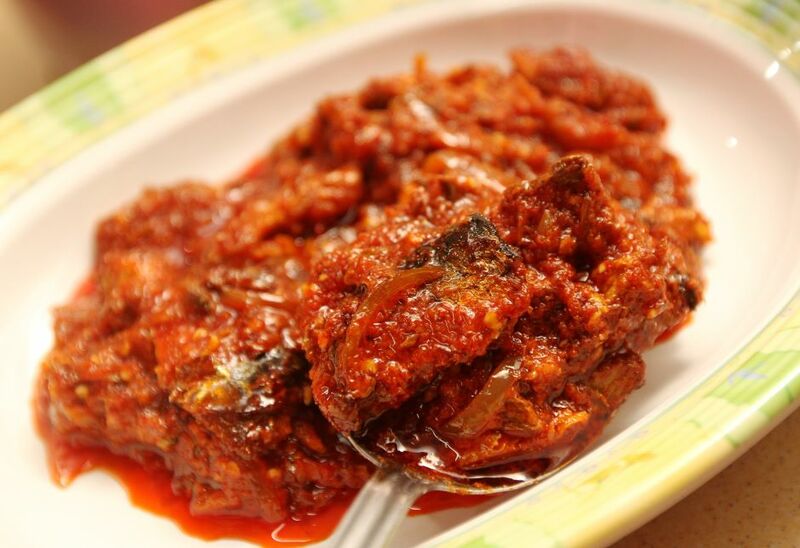 Sardine sambal is the favorite condiments on the dining table. Every Ramadan, Siti Hajar Din, her four sisters and a brother would continue their family tradition of hosting a moreh session (a supper after terawih prayers) held at Surau Al-Muhammadi near Seremban, Negri Sembilan. The children are just as involved, helping to serve their family´s signature meal of chapati, sardine sambal and dalcha. Read the full story, “Shared blessings”. Whizz ingredients (A) to a paste in a food processor. Heat some oil in a saucepan. Rinse the sardines and fry them. Remove and keep aside. In the same oil, fry the ground paste. Fry well until oil rises to the top and the paste is fragrant. Add sliced onion and fried sardines. Add asam gelugor and finally, season with salt to taste.